You arrive in Delhi where you are met by our representative and transferred to your hotel (check-in from 2pm). You have the rest of the day at leisure. After breakfast at the hotel, you depart on your city tour of Old Delhi, taking in the magnificent Red Fort (closed on Mondays), and Jama Masjid. You drive past Kotla Firoze Shah, the ruins of an old fort of the 14th Century with the 13 metre high Ashoka Pillar of 3rd Century BC. You enjoy a cycle rickshaw ride through the narrow lanes of Old Delhi and visit Raj Ghat, where Mahatma Gandhi was cremated in 1948. In the afternoon, you have a city tour of New Delhi, including the Presidential Palace, the Rashtrapati, the impressive Rajpath to World War I, the Memorial arch, and India Gate. You visit the Qutub Minar, a 72 metre high Minaret and the ruins of Quwat-ul-Eslam (Light of Islam) Mosque. After breakfast at the hotel, you leave for Agra (208 kms/ approx. 3 hours’ drive on the Yamuna Express way). Upon arrival you transfer to your hotel. 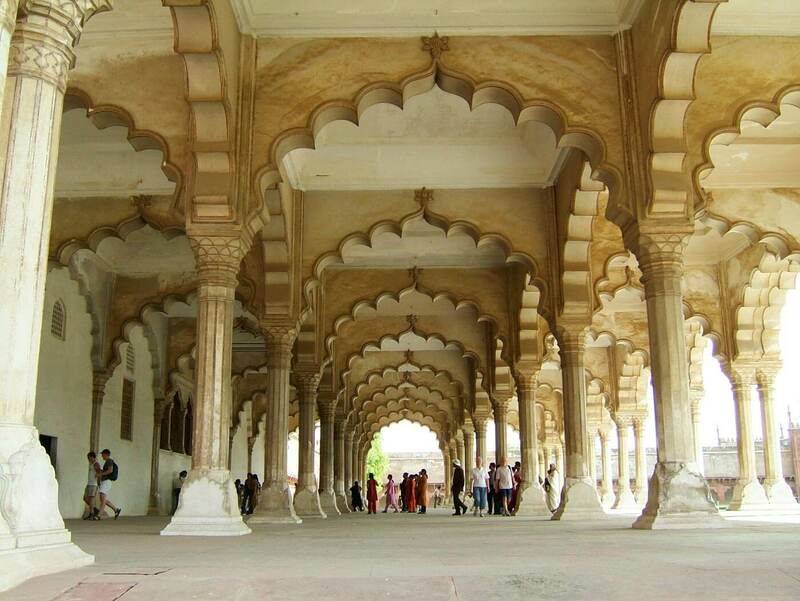 In the afternoon, you enjoy a city tour of Agra, visiting Agra Fort. Behind its forbidding red sandstone battlements lies a palace that tells the story of the Moghul Empire. 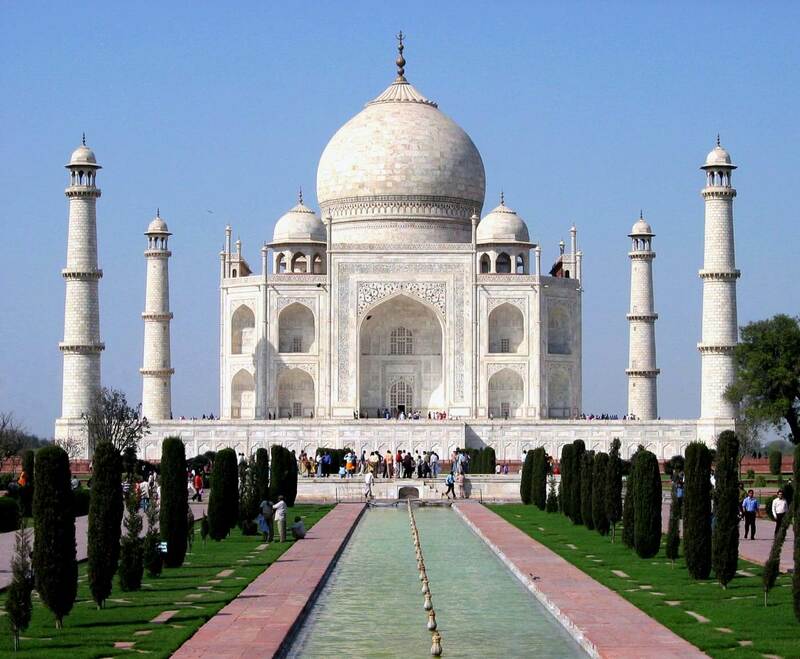 Then on to the famous Taj Mahal, built to commemorate the beloved wife of Shahjehan, Mumtaz Mahal. This morning you are driven to Fatehpur Sikri, approximately 40 kms/ 1 hour’s drive west of Agra. 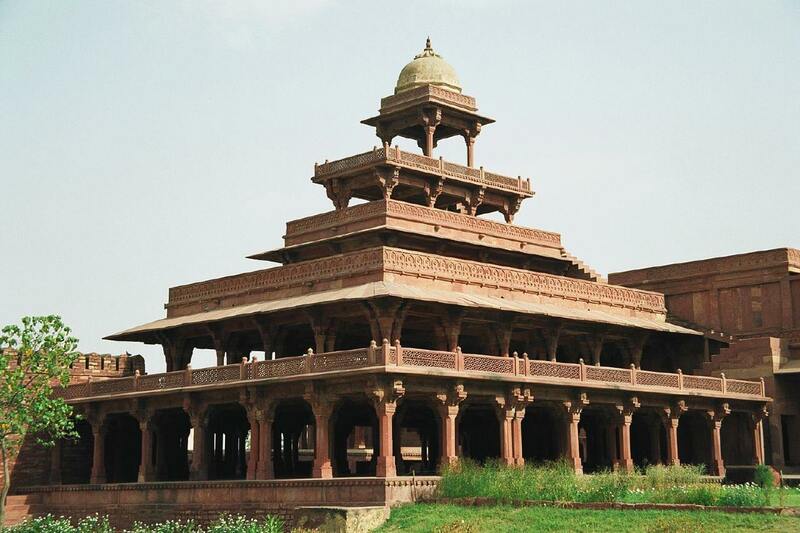 Fatehpur Sikri is a red stone ghost city, built by Emperor Akbar the Great in 1569. You then continue your journey to Jaipur (200 kms / 4 hours’ drive). Upon arrival in Jaipur, you transfer to your hotel. You start your day with a visit to the Amber Fort, stopping en route for a photo stop at ‘Hawa Mahal’ (Palace of Winds). The Amber Fort is, as its name suggests, is a honey- coloured fortress-palace in the Aravalli Hills. It can be reached either by elephant or by jeep. It has been described as “the sleeping beauty of Rajasthan”. From here you visit City Palace and Jai Singh’s Observatory. Part of the City Palace is now a museum that contains fine Rajput and Moghul paintings, rare manuscripts and an armoury, old carpets, and even embroidered clothes of the Maharajas and the Maharanis. Jai Singh’s Observatory was built in the 17th century by the founder of Jaipur who, besides being a prince, was also soldier, astronomer and builder. Today you head off on your drive to Jodhpur, known as the “Blue city” of Rajasthan (330kms/ approx.6 hours’ drive.) You check in to your hotel and have the rest of the day at leisure. After breakfast at the hotel, you enjoy a city tour of Jodhpur and the surrounding area, starting at Meherangarh (Majestic) Fort, perched on a 393 foot bluff which rises out of the flat surrounding plain. On the road down from the Fort, you see Jaswant Thada, the blinding white marble cenotaph (chhatri) of Maharaja Jaswant Singh II and the Clock Towers which stand in the city centre. In the afternoon, you take a jeep safari to visit a Bishnoi Village. The Bishnois are a nature-loving sect of the Hindu religion, and represent a different community of Rajasthan, famous for their rich cultural lifestyle. You have a leisurely breakfast at the hotel before setting out on your drive to Udaipur (125kms/approx. 2 hours’ drive). On the way you visit the Ranakpur temples, beautiful sculptured 15th Century Jain temples constituting one of the five holy places of the Jain community. You check in to your hotel and enjoy the rest of the day at leisure. You have the morning at leisure before checking out of the hotel at noon for your transfer to Udaipur airport and your afternoon flight on to Mumbai. 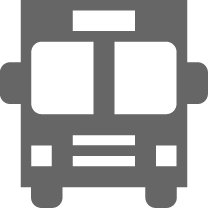 You are met at Mumbai airport and transferred to your hotel. After breakfast at the hotel, your tour of Mumbai starts with a photo stop at the Gateway of India. You drive past the Fort area, and past the Gothic style Victoria Terminus now renamed the ‘Chhatrapati Shivaji Maharaj Terminus”, the departure point in 1853 for the first train in India. You visit Dhobi Ghat for a photo stop, the open-air Indian laundry which is still popular with locals despite the advent of the modern washing machine. You visit Chhatrapati Shivaji Maharaj Vastu Sangrahalaya, formerly known as the Prince of Wales Museum of Western India, which is one of the premier art and history museums in India. The museum building, a Grade I Heritage building, is a fine example of the Indo-Saracenic style of architecture and houses a world-class collection of over 60,000 art objects. After breakfast at the hotel, you check out and are transferred to the airport for your flight home. • Buffet Breakfast in all hotels. • Elephant Ride/Jeep at Amber Fort depending on preference. Return journey by jeep. • A local English speaking guide for all sightseeing as per the itinerary.  • Services of an English speaking representative to assist at airports and hotels.